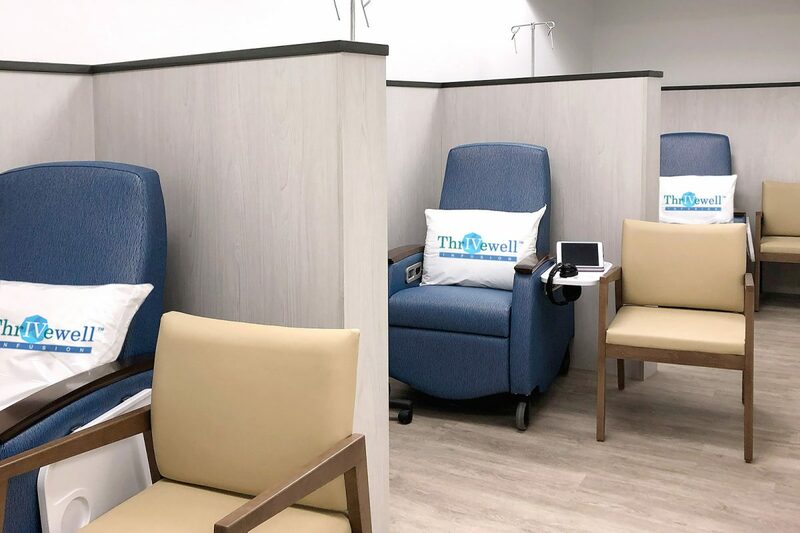 Thrivewell Infusion offers individualized, quality Care, Comfort, Compassion, and Convenience within our high-end infusion suite. We provide clinically supervised outpatient infusion administration for short-term clinical treatment and long-term infusion therapy for chronic disease management. We accept most insurance plans and provide Insurance Verification and Pre-authorization for your treatment. Our locations throughout the greater New York City-metropolitan area includes multiple locations servicing patients across NYC, Long Island, Westchester, and Hudson Valley. In addition to a full spectrum of IV antibiotics, we also offer an extensive list of outpatient infusion therapies which you can learn more about below. If there’s an infusion of interest that is not on our list, email our clinical team today and we will make it available to you as soon as possible.